A graduate from both the University of Edinburgh and a French Business school, Mathilde has a strong marketing background. After a few years as international product manager in the food supplement/ pharmaceutical industry, Mathilde arrived in the South of France with the firm intention to work for her passion: yachts. This passion grew as she sailed intensively as a student and finally got to cross the Atlantic on a 10m archaic sailboat with her future husband, a naval architect. She learned the ropes of the industry with Monaco Marine, in charge of the group’s communication before joining Kevin in the adventure of setting up the first European office for IYC. In ten years she has played all the roles in the company as it developed from yacht management to sales through charter. 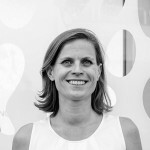 She now manages IYC Monaco and its successful team of professionals.